Invoice layouts are uploaded to QicsMilestones as Crystal Reports files (*.rpt). QicsMilestones has a limit for maximum size of this file. Previously was this limit 4MB, which appeared too little in situations where pictures are included in the invoice layout, such as company logo’s with larger resolution. For this reason the limit was increased to 10MB. Performance of Edit invoices page was increased, especially in situations when sorting is applied. 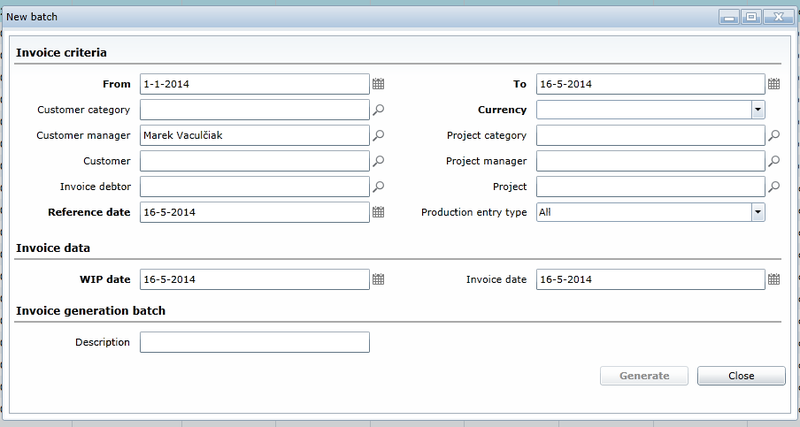 Opening and working with invoice (Edit invoice popup) was optimized as well. 1097 [BUG] Multiselect (CTRL + click) does not work when list view is sorted and columns are customized. 1329 [BUG] System.InvalidOperationException: An entity with the same identity already exists in this EntitySet.